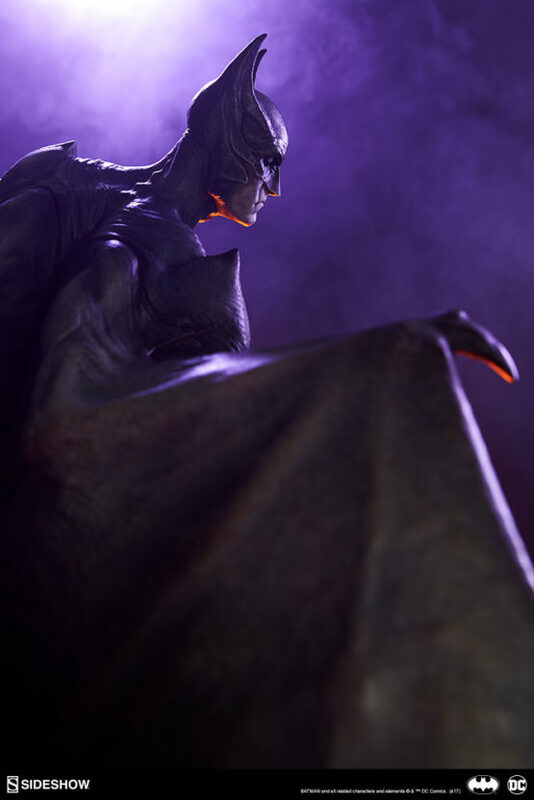 He is the night, and the nightmare. Sideshow is thrilled to present the Batman Statue, the chilling first installment in the Gotham City Nightmare collection. 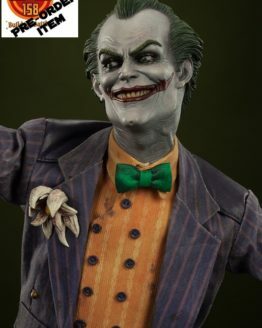 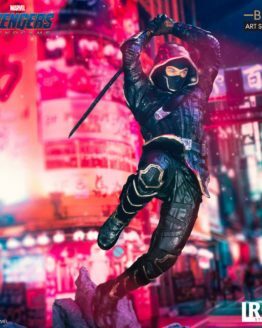 Gotham City Nightmare dares to ask, what would the familiar faces of Gotham become when viewed through eyes filled with fear? 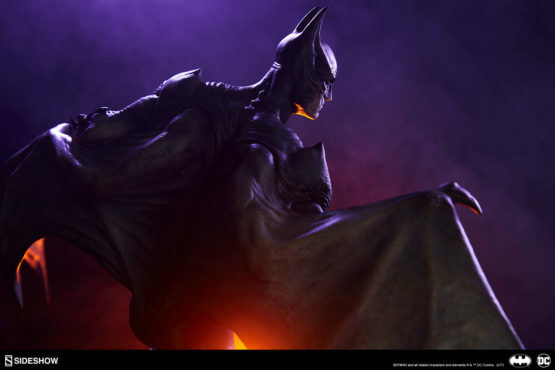 The Batman Statue gives you a glimpse of the Dark Knight like never before. 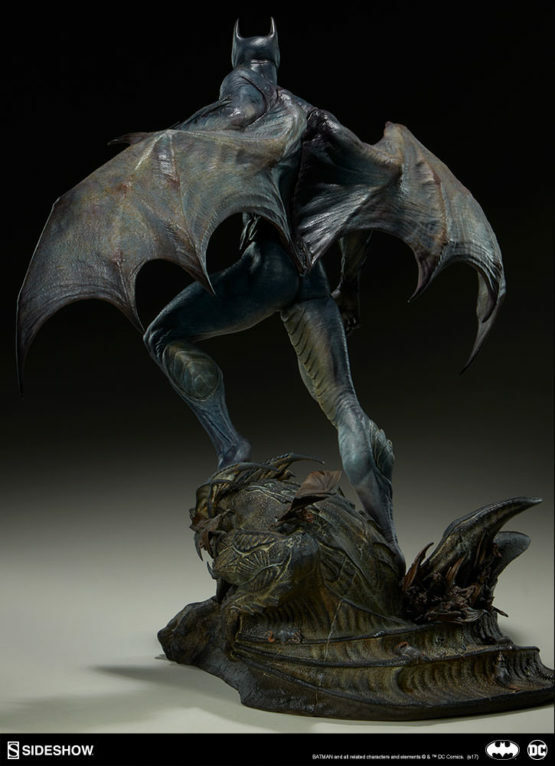 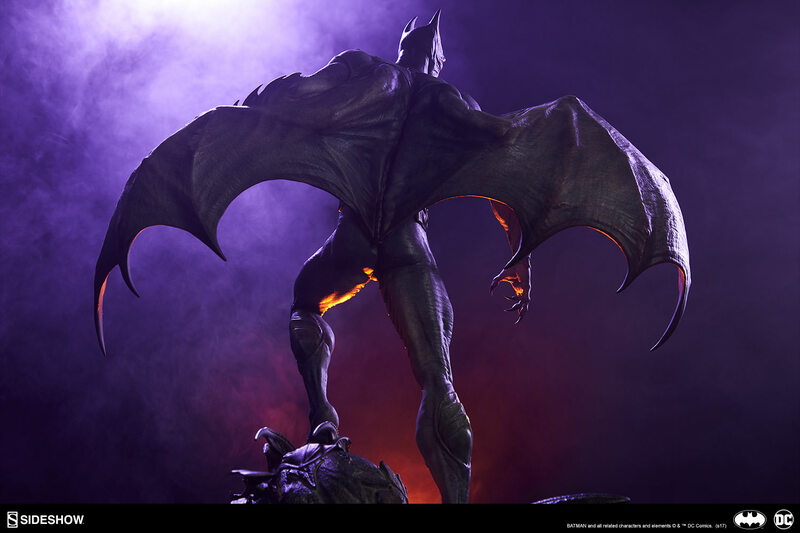 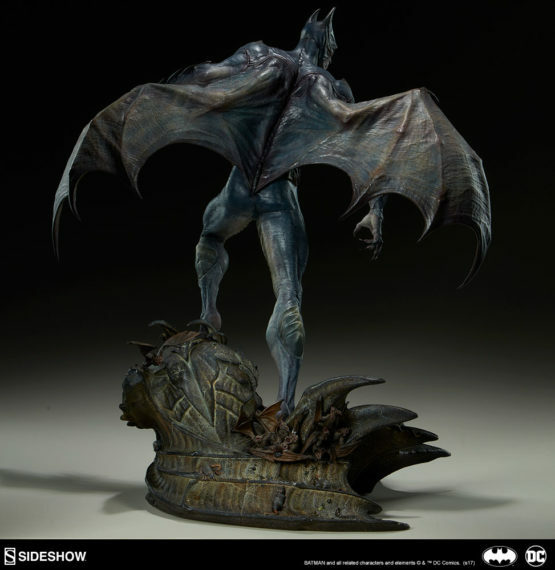 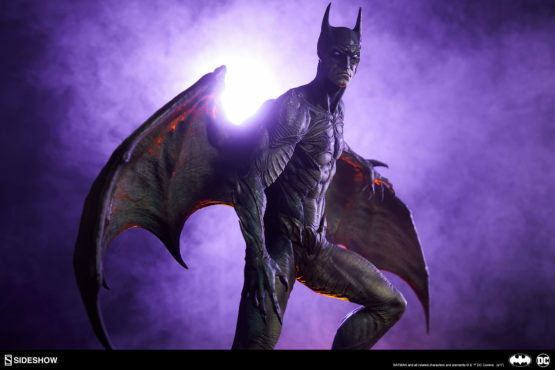 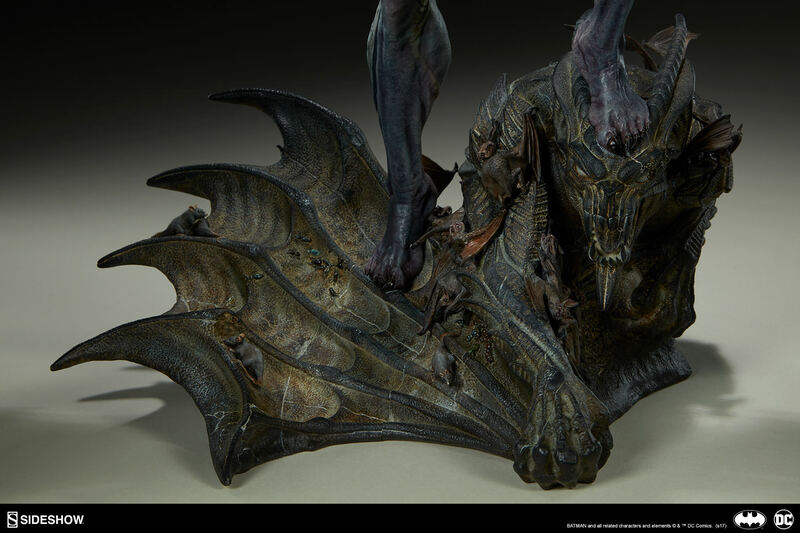 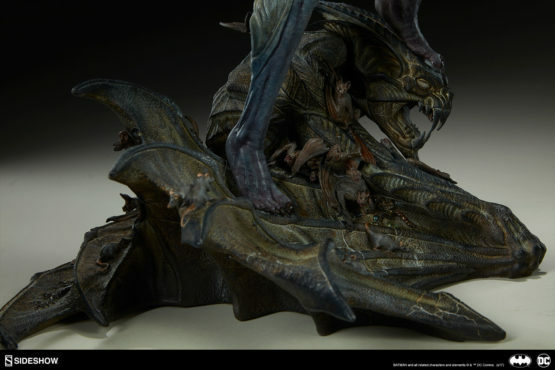 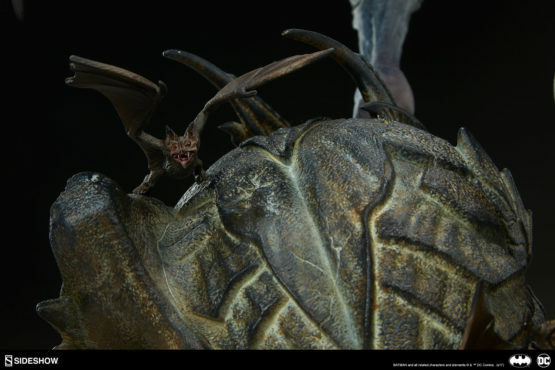 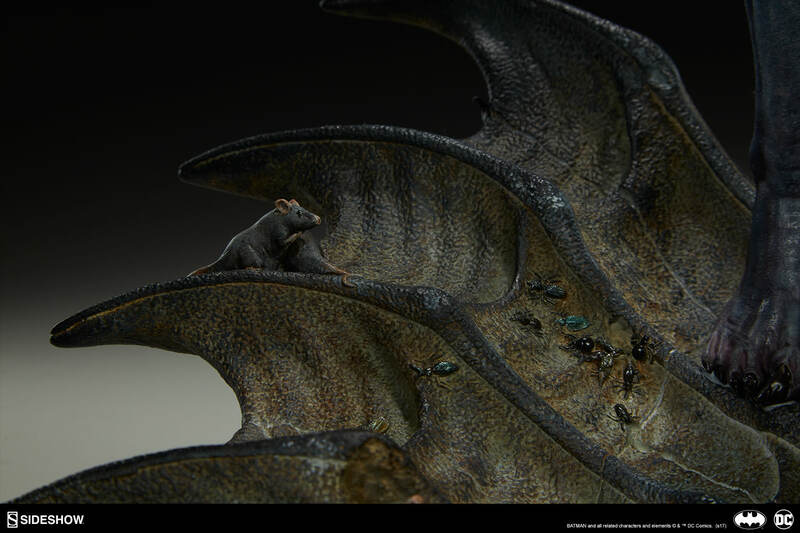 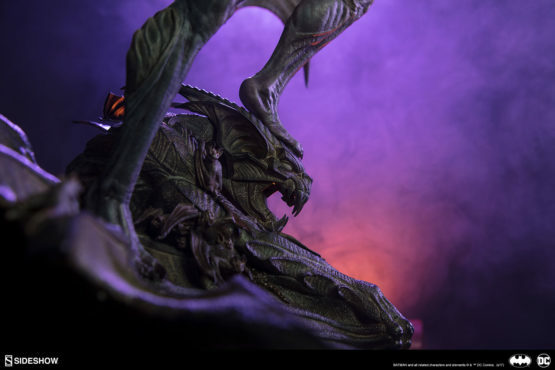 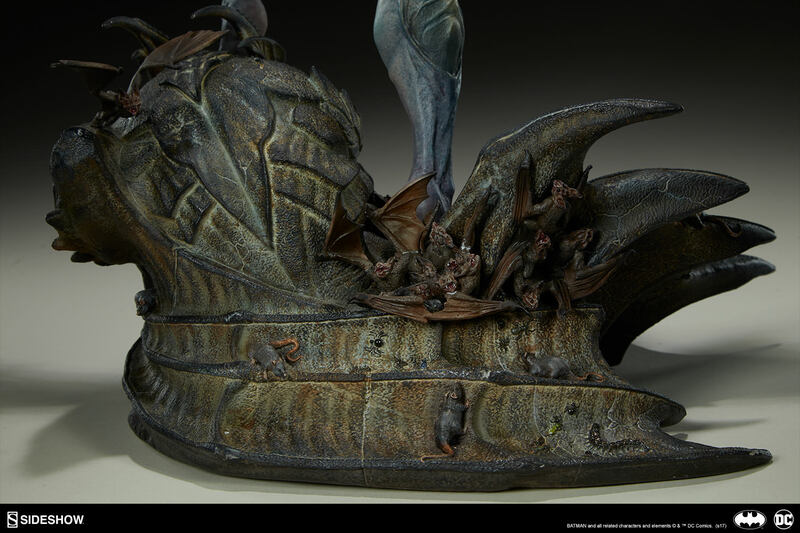 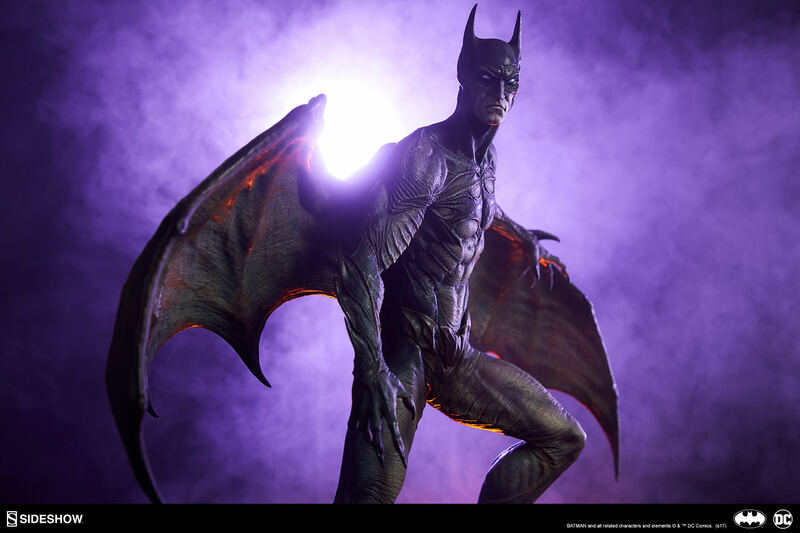 No longer a crusader in just a cape and cowl, Batman has taken on a more sinister style as a bat creature, poised on top of a warped Gotham gargoyle, his wings spread wide. 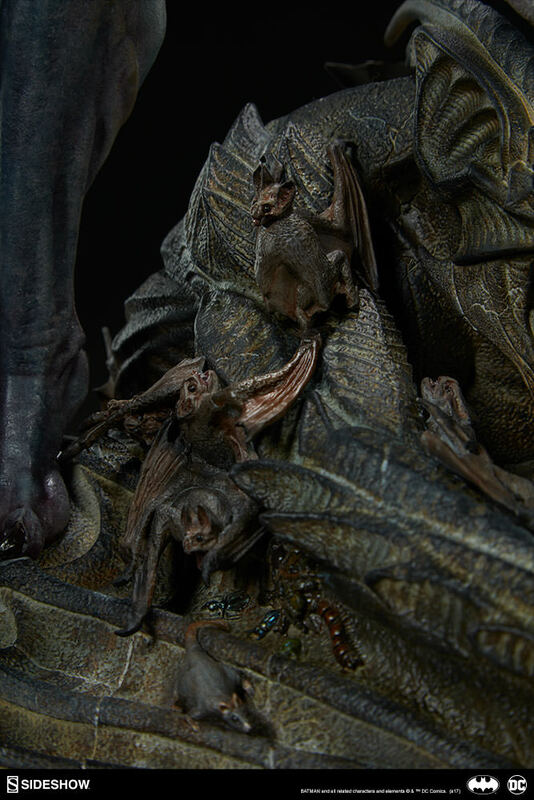 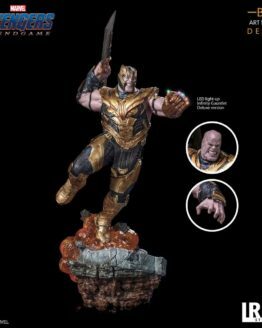 Disgusting creatures like bats, rats, and centipedes crawl at Batman’s clawed feet, emerging from the stonework on which he stands. 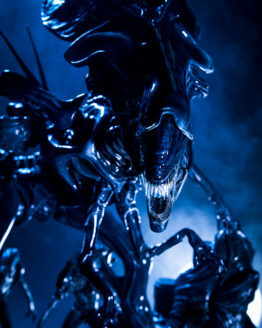 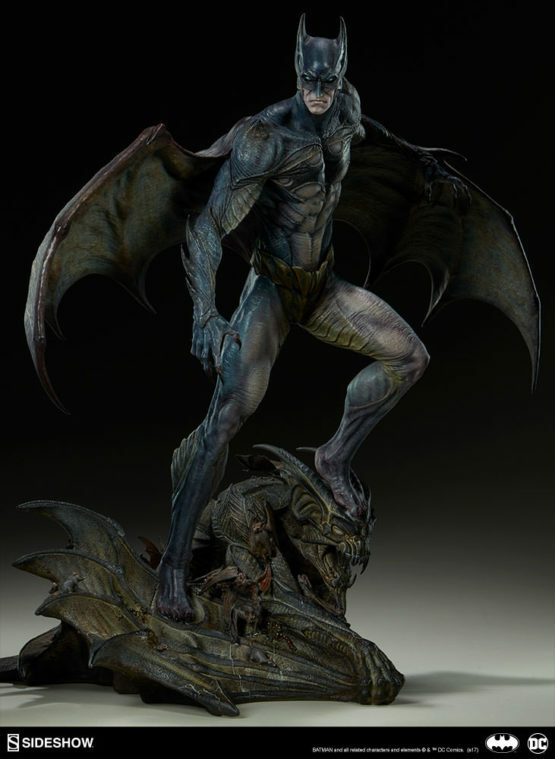 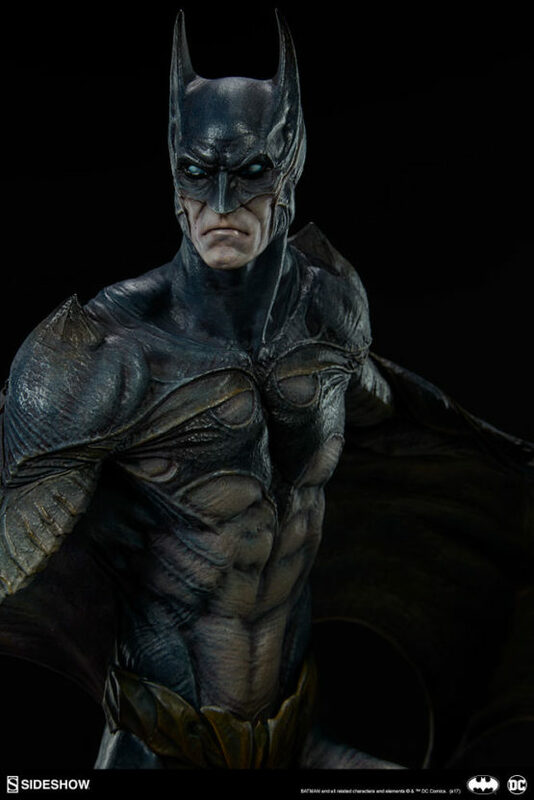 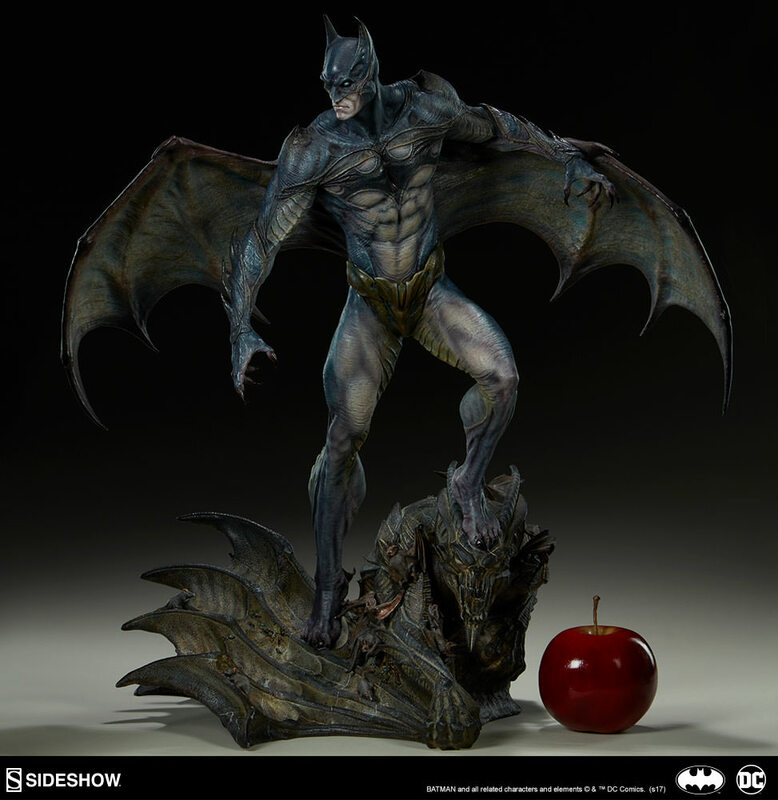 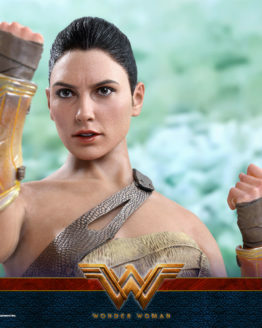 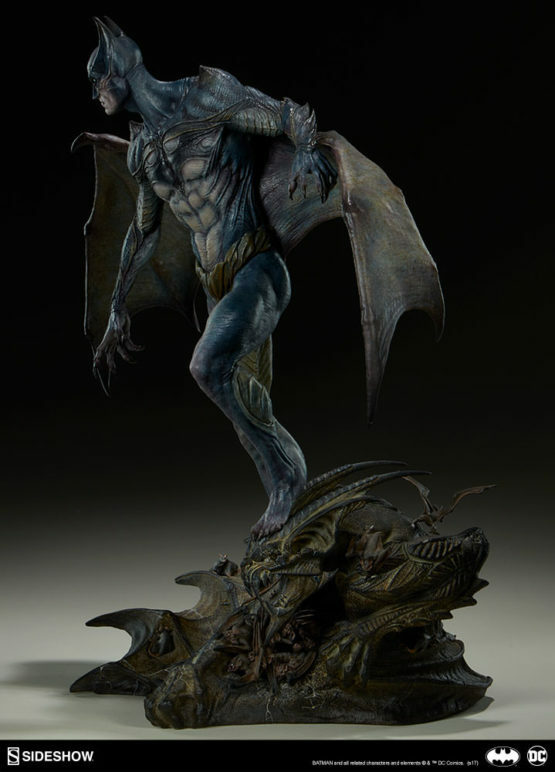 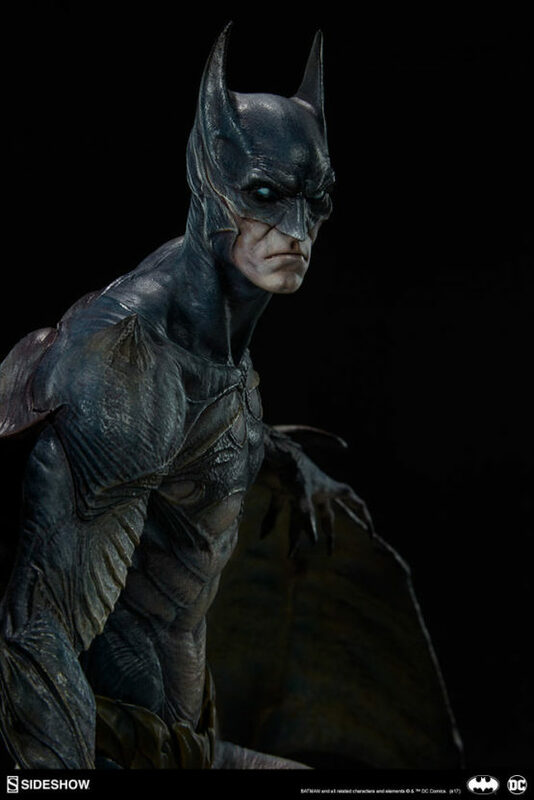 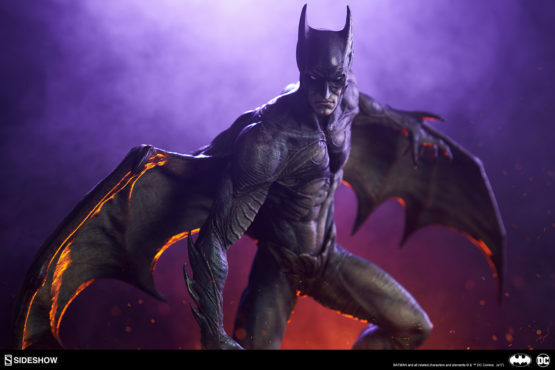 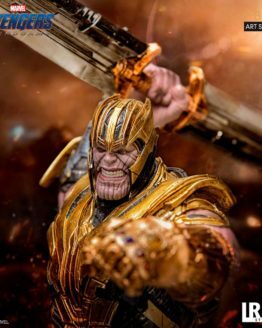 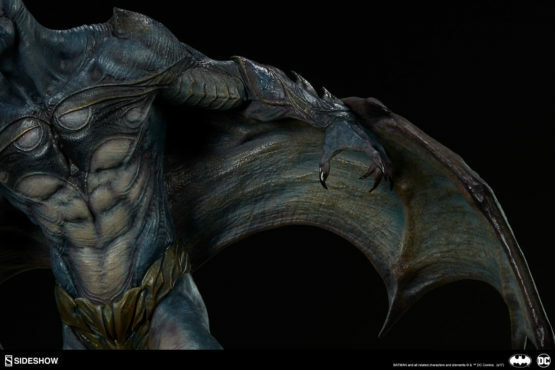 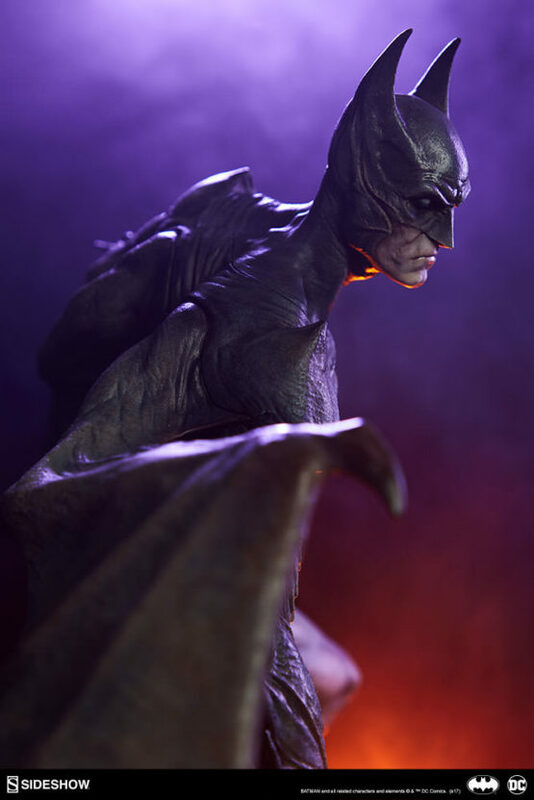 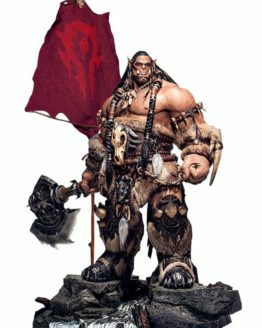 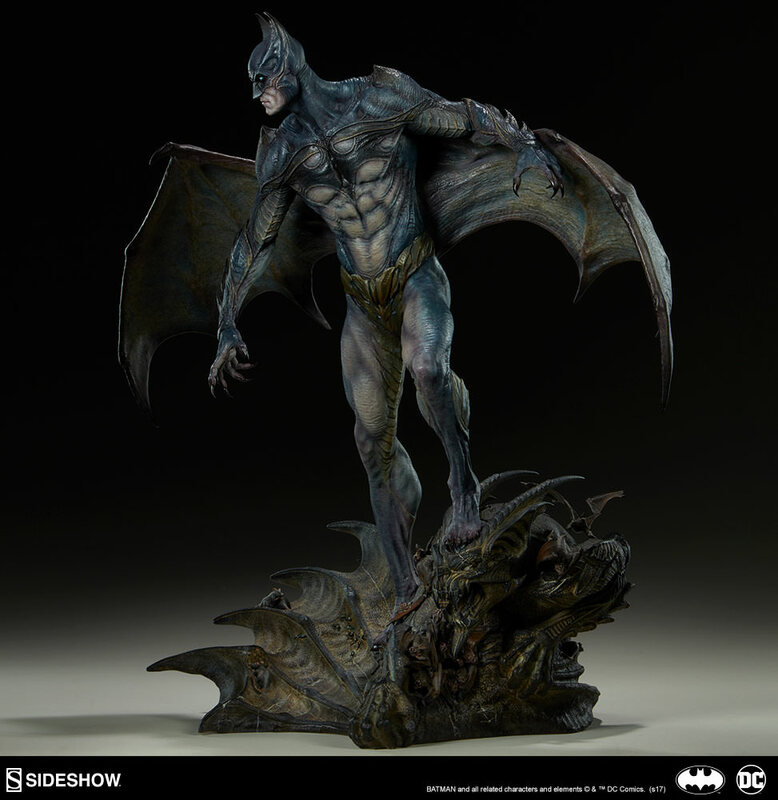 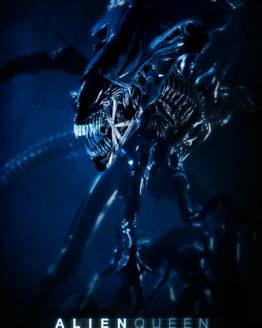 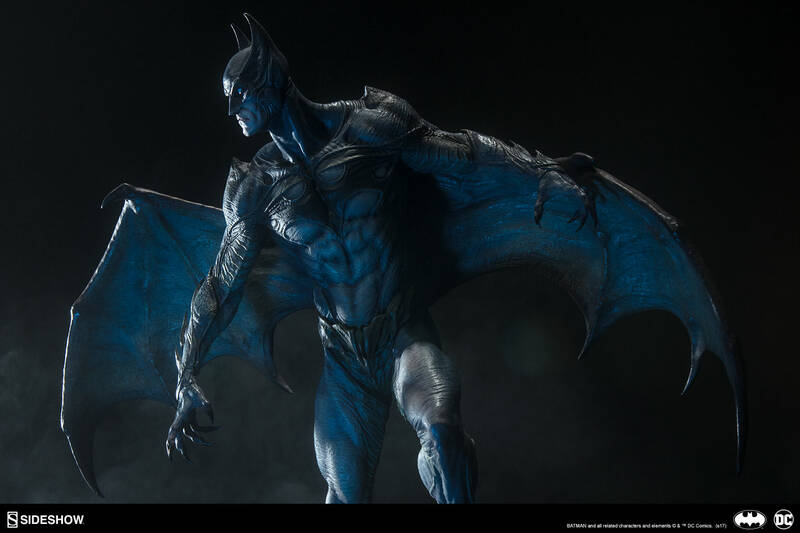 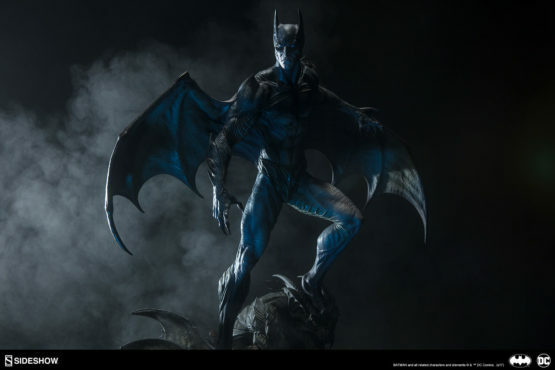 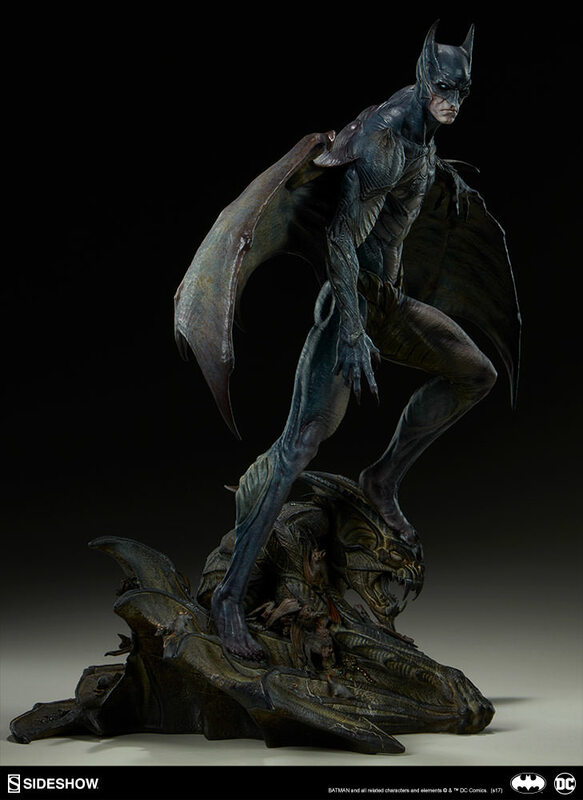 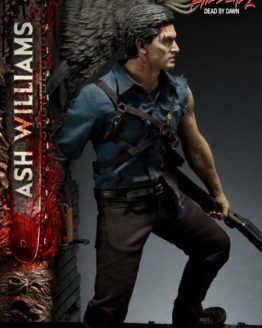 Batman’s body is carefully sculpted with sinewy flesh capturing the monstrous melding of his suit design to the creature’s skin, painted with deep blues and greys to give him his chilling appearance. 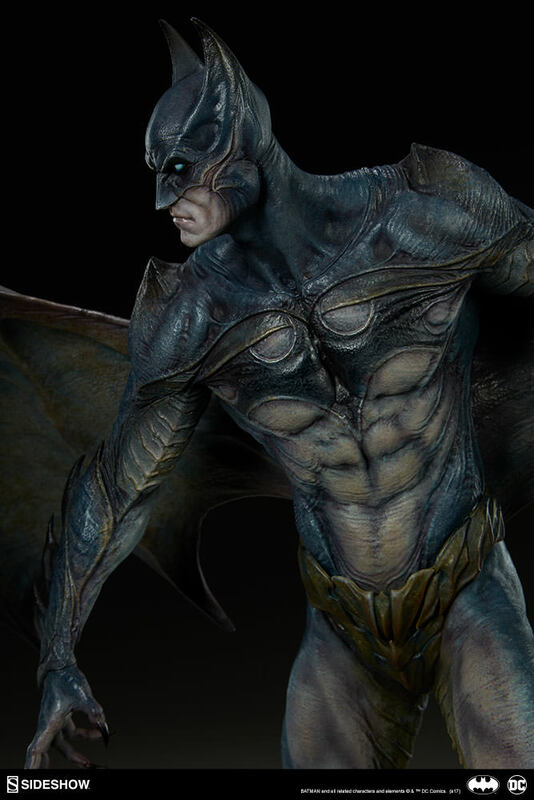 A subtle bat symbol covers his chest, integrating into his anatomy and further deepening the nightmare. 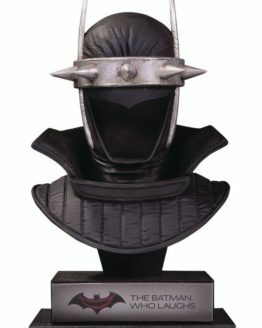 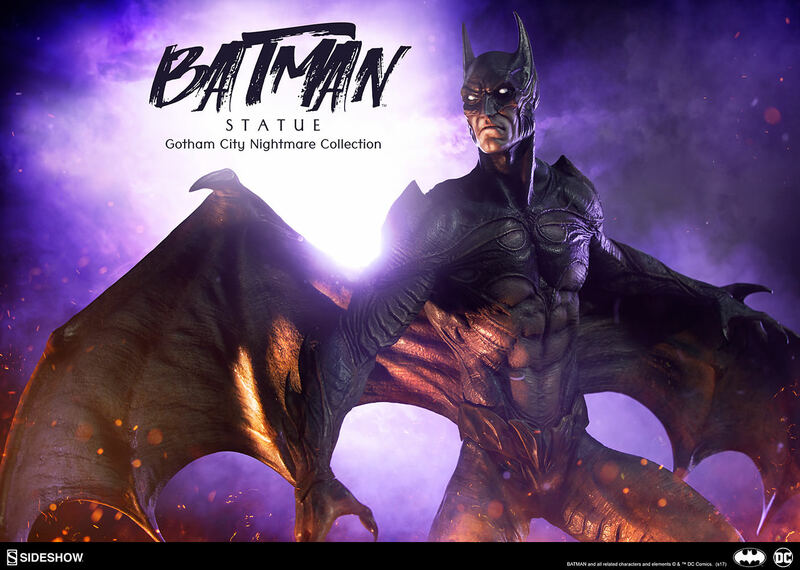 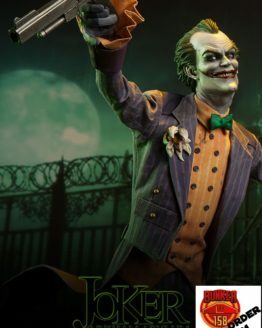 Face your fears with the Batman Statue from the Gotham City Nightmare collection.